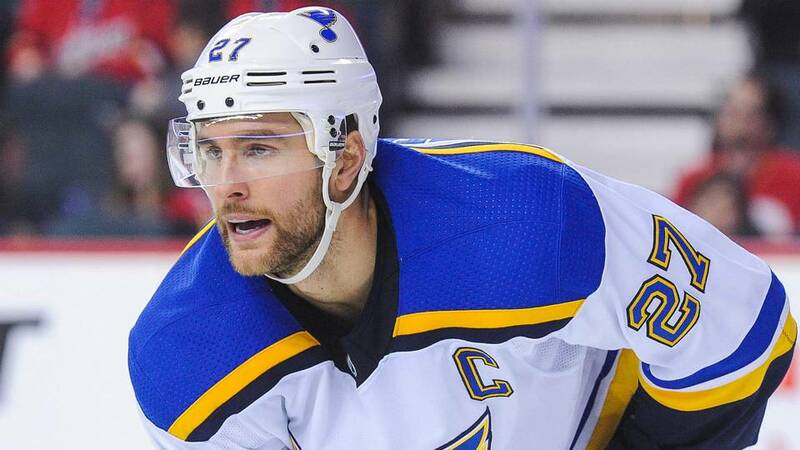 St. Louis Blues President of Hockey Operations and General Manager Doug Armstrong announced today the Blues have placed defensemen Carl Gunnarsson (upper body – retroactive to Nov. 17) and Alex Pietrangelo (upper body), as well as forward Robby Fabbri (upper body) on injured reserve. In addition, Armstrong announced the Blues have recalled defenseman Chris Butler and forwards Jordan Kyrou and Jordan Nolan from the club’s American Hockey League affiliate, the San Antonio Rampage. Butler, 32, has dressed in 23 games for the Rampage this season, posting 10 points (two goals, eight assists) and 14 penalty minutes. A native of St. Louis, Butler is currently in his fifth season with the Blues organization. Overall, the 6-foot-1, 196-pound defenseman has collected 85 points (14 goals, 71 assists) and 187 penalty minutes in 396 career NHL regular-season games. Kyrou, 20, has appeared in 14 games with the Rampage this season, tallying 10 points (five goals, five assists) and six penalty minutes. The 6-foot, 175-pound forward has also dressed in nine games for the Blues, recording one assist. The Toronto, Ontario native was originally drafted by the Blues in the second round, 35th overall, of the 2016 NHL Draft. Nolan, 29, has dressed in 24 games for the Rampage this season, leading the club with seven goals and 15 points overall. The 6-foot-3, 235-pound forward was signed by the Blues as a free agent on July 5, 2018. Overall, the Garden River, Ontario, native has played in 361 career NHL regular-season games, accumulating 50 points (24 goals, 26 assists) and 333 penalty minutes.